First, it was a custom speedo for a high school student that prompted people to think outside the buns. 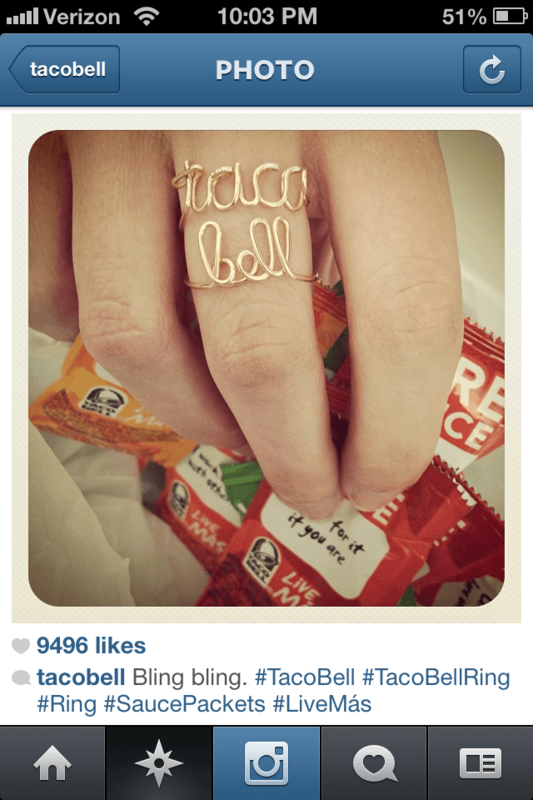 Now, Taco Bell’s custom ring bling gifted to a few “special ladies” is generating headlines for the company’s unique influencer strategy approach. Three weeks ago, the above snap shot of a custom gold ring bearing the Taco Bell name in cursive was posted on the company’s Instagram account. Fast-forward to the present, and Taco Bell is using its ring and personalized handwritten notes to woo a handful of special ladies. While these ladies all happen to be actresses and models, they are also reportedly fans who tweet and share their love of Taco Bell online. 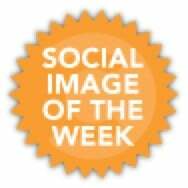 The “special ladies” included Chrissy Teigen, Miss California 2012 Leah Cecil, Jessica Lu of MTV’s Awkward, and more. Dig deeper into the handwritten notes sent to the ladies and you’ll see zany lines like, “You’re funny, cool and you like Taco Bell,” or, “Following you on Twitter was the best decision we ever made.” Plus, all of the notes are signed by Taco Bell – not a PR rep. Regardless of whether you consider this approach to be wacky or wonderful, one thing is clear – it seems to be working. While it hasn’t been communicated just how many “special ladies” Taco Bell reached out to, the company has created a fan/friend persona with their targeted influencers. 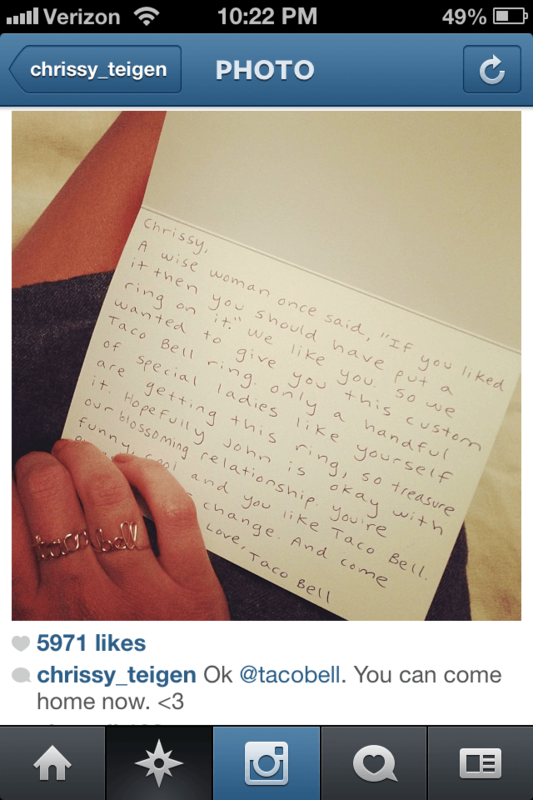 Several of the ladies have also rewarded Taco Bell with public tweets and photos of their notes and rings on Instagram, generating increased awareness and conversation online. Now that Taco Bell’s put a ring on it, what – or who – could be next? Could they celebrate the art of the bromance? Father’s Day is also coming up – maybe Dad deserves a little something special? Only time will tell when it comes to Taco Bell!